Andre Ayew IS on Sunderland’s list of summer targets, with the winger understood to be open to leaving Swansea. 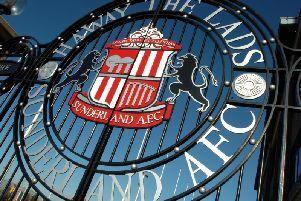 Sunderland saw a concrete bid in excess of £10million rejected by Swansea in the January transfer window and that prompted immediate speculation that the Black Cats would revive their interest in the close season after beating the threat of relegation last month. Sam Allardyce remains a big fan of Ayew and it is understood that he is a player that Sunderland are targeting, with an attacking midfielder/winger one of five key positions that the club are looking to address in the transfer market. Although Sunderland are yet to make a formal approach to Swansea, discussions have been taking place over a move for Ayew, who has recently changed his agent. Crucially, Ayew is thought to be willing to leave Swansea after just one season at the Liberty Stadium, although West Ham are also thought to be interested in the Ghanaian international. Swansea would not sanction Ayew’s exit in January - when they were involved in the thick of the relegation battle alongside Sunderland - but that may now change, albeit boss Francesco Guidolin insisted last month that he wanted to keep him after top-scoring for the Welsh club last season with 12 Premier League goals. “There are good characteristics we have discovered with him and I hope he stays,” said Guidolin. However, sources in Wales have indicated that if Swansea receive an offer close to the £15m mark, then they could decide to cash in on Ayew, despite another three years to run on his contract. Despite the windfall from the new television deal, Sunderland would need to break their transfer record to pay that sum, while the other barrier towards any switch is if a club involved in European competition enters the race for Ayew. The former Marseille man admitted in an interview with French television last week that he has aspirations to play Champions League football. He said: “Of course, every player wants to play for the Champions League or the title. A time will come when I’ll aim for these.